This is a community for fans of Spirit Blade Productions and Christian Geeks in general. 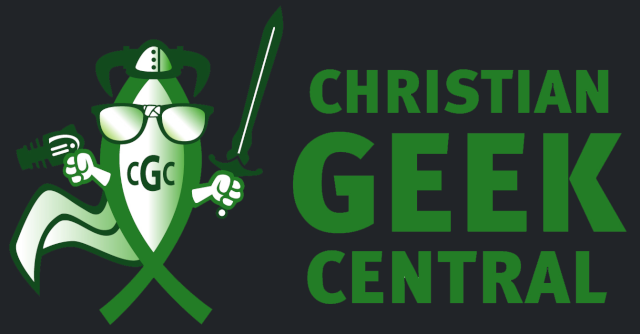 Our aim here is to celebrate the fun, geeky things we enjoy while supporting and befriending each other as we seek out truth in our lives. In an effort to make this place a welcoming, enjoyable community, we have just a few rules for posting and online interaction. Communication should be polite and level-headed at all times. Although it's great to be passionate about your hobbies, preferences and beliefs, please avoid insulting anyone's opinions or beliefs, either directly, passive aggressively or by implication. This site is about celebrating what we love, not debating over our differences. Biblical and philosophical discussions are both welcome in the "Seeking Truth" forum. However, be sure to read the additional guidelines for that forum before posting. Although the Bible does not present a list of English words that we are not supposed to use, we ask that as a courtesy everyone keep their language to the standards of daytime network television. If you wouldn't hear it then, don't type it here. (When in doubt, don't test the boundaries.) We realize that this standard still allows for language that some may find offensive. We would ask that those offended be gracious (which means to extend "undeserved favor") and not develop a judgmental attitude toward others who may use "rougher" speech than they do. Sexually crude humor, discussion or material is prohibited. If you break these rules your post will be edited or deleted. If you repeatedly break the rules you will be asked to leave the site and your account will be deleted at the discretion of the moderators and administrator. Hopefully these simple rules will free up everyone to have a great time hanging out and getting to know each other a little better! Thank you for your help with this.